On 24.03.17 a symposium titled “COLOUR-ID” is taking place at Aedes Network Campus Berlin ANCB. Speakers including Louisa Hutton, Martin Fröhlich and more. Among them Peter L. Wilson will be speaking on the theme of architectural identity given through colours. 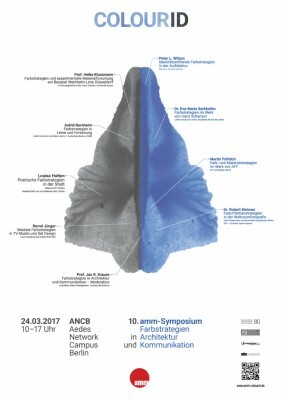 The symposium is organised by AMM Architektur Media Management Bochum.